"Many of Gibson's most popular current models are based on instruments introduced during the heyday of the sixties. The Thunderbird IV is the descendant of the original Thunderbird designed by Ray Dietrich who was best known for his innovative car designs. The reverse zigzag form of the body along with a white chrome plate bearing a Thunderbird logo on one body horn give this instrument a sleek, modern look. The newer version has also been re-released in the limited-run series." Since 1953 when the EB-1 a mahogany-colored four-string electric bass guitar first thumped out a bassline for the Reiser Brothers Trio, the Gibson Bass Guitar has held a high place in music history. The now-classic EB-1 Gibson Bass Guitar was a small solid-body instrument that looked somewhat like a blue-grass fiddle. Using the slogan "Revelation in rhythm", the Gibson company advertised its innovative bass as ideal for country western bands. The vintage EB-1 now sells at auction for respectable amounts. EB stands for electric bass and the first of the Gibson line was called simply the EB until that company came out with an advanced model in 1958 that they called the EB-2. This semi-solid electric Gibson bass guitar had a lacquered-red-and-yellow color, and contours that gave it a more modern, standard guitar appearance. In 1963 the EB-3 was introduced. The primary advance made by this Gibson bass guitar was the extra bridge that gave it a clearer sound. It gained popularity when British rocker and bass legend Jack Bruce used it for rock improvisation. Gibson stopped making the EB-3 in the mid-seventies. It's impossible to talk about quality electric guitars and not mention the name, Les Paul. Paul worked for Gibson in the 60's designing a line of guitars for them. His bass guitar which was introduced in 1969, was aptly named the Les Paul Bass. This was a solid body, very heavy bass intended for use in recording studios. The Norlin corporation bought Gibson in the late sixties and introduced new lines of Electric basses. It is accepted wisdom that Norlin cared more for profit than for quality and lost both. Even the Les Paul line suffered the same decline as all Gibsons of that era. It was redesigned as a hollow body model in 1973 and given the name, the Les Paul Triumph. Only six years later all Les Paul models were discontinued. In the early 1990's the company tried a re-release of the original style and called this one the Les Paul Signature. However the last of the Les Paul line was discontinued in 2006. During the Norlin era, Gibson introduced an explosion of new models. The Gibson Grabber, although cleverly named and made in an attractive rock guitar style can only command a small amounts at auction today. It was made from cheap parts and intended to be a low-priced bottom-of-the-line instrument but it still grabbed the attention of the likes of Gene Simmons who played it in his rock band "Kiss". The Grabber was re-released in 2009 as part of a limited-run series. The Ripper is advertised as a cousin to the Grabber. It was also a cheaply-made bass that was released at about the same time. Although original rippers are now rare and sell for much higher prices. At auction, the new Rippers manufactured as part of the limited-run series fetch an even slightly higher price. In 1986 Gibson was bought by Henry Juszkiewicz and Dave Berryman who stopped its downward slide by reintroducing high-quality instruments to the line. Today, Gibson leads the world in the electric guitar sales. Many of Gibson's most popular current models are based on instruments introduced during the heyday of the sixties. The Thunderbird IV Gibson bass guitar is the descendant of the original Thunderbird designed by Ray Dietrich who was best known for his innovative car designs. The reverse zigzag form of the body along with a white chrome plate bearing a Thunderbird logo on one body horn give this instrument a sleek, modern look. The newer version has also been re-released in the limited-run series. This limited-run series even features guitars that were originally made by competitors. The Growler was released by Tobias, a company that specialized in bass guitars. Gibson bought the company in the early 1990's and now holds the patent on the early models although founder, Michael Tobias has formed another company. Although, Gibson pays homage to its past through its limited run series, it doesn't forget its roots when offering its newer models either. The current SG Standard Bass is really an update of the old EB-3. The new SG Standard has only three knobs instead of the four found on the old EB3. The veritone switch is missing on the SG Standard. The saddles of the newer model are individually adjustable and the bridge is slightly different in appearance. Other than those minor differences the guitars are essentially the same. The Gibson company has firmly re-established itself as a leader in the manufacture of fine guitars. It relies strongly on nostalgia for its classic models but it still is highly regarded for its innovation and quality. 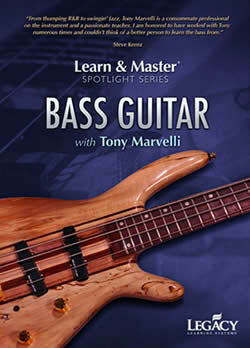 The Gibson Bass Guitar has always been enjoyed by major artists in every musical genre from country to rock to reggae. They have a bright future as professionals and novices alike turn to them for the classic Gibson Sound. Enjoy the Gibson Bass Guitar post? Share it!